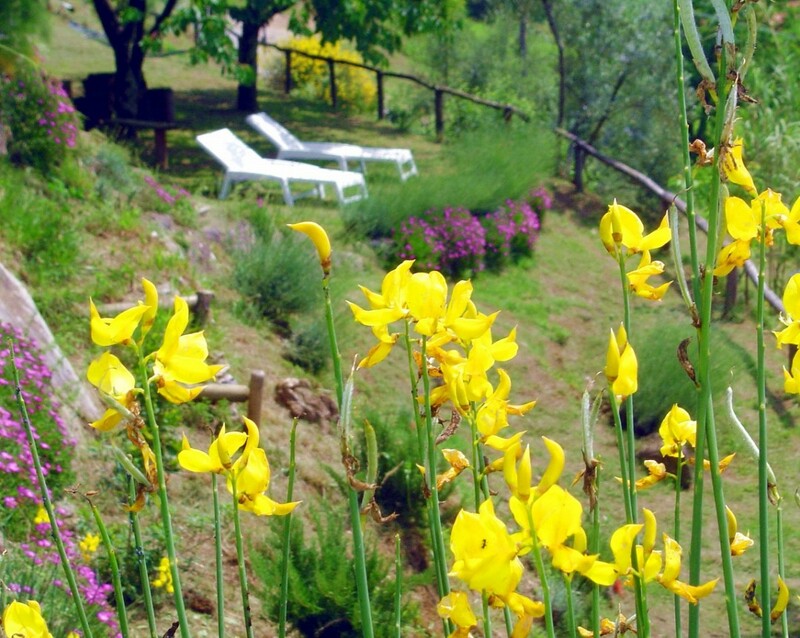 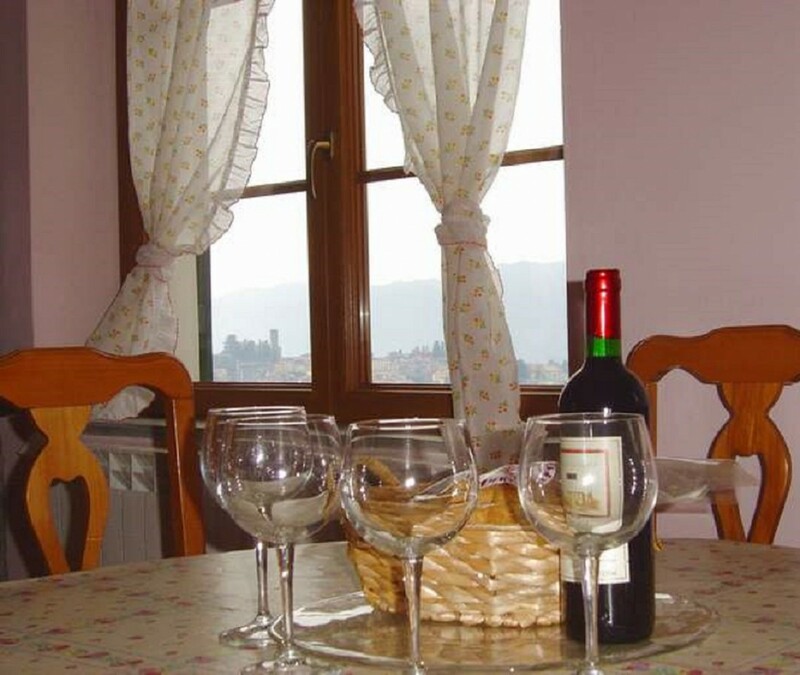 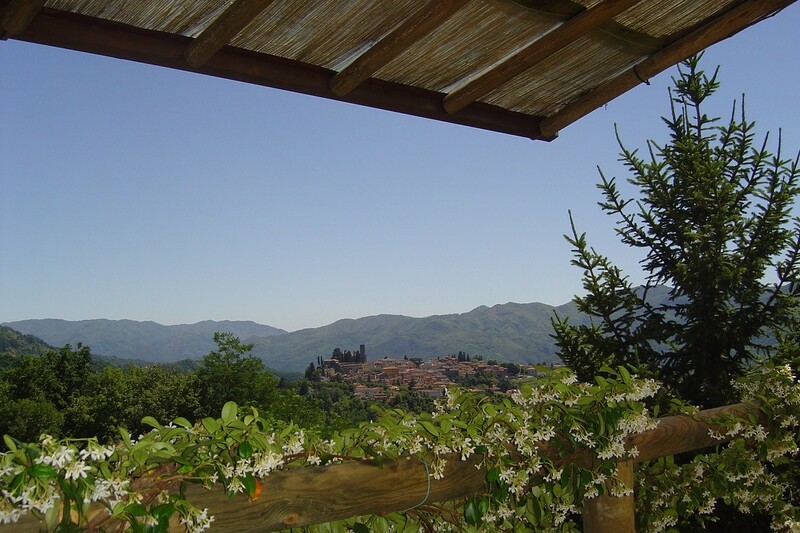 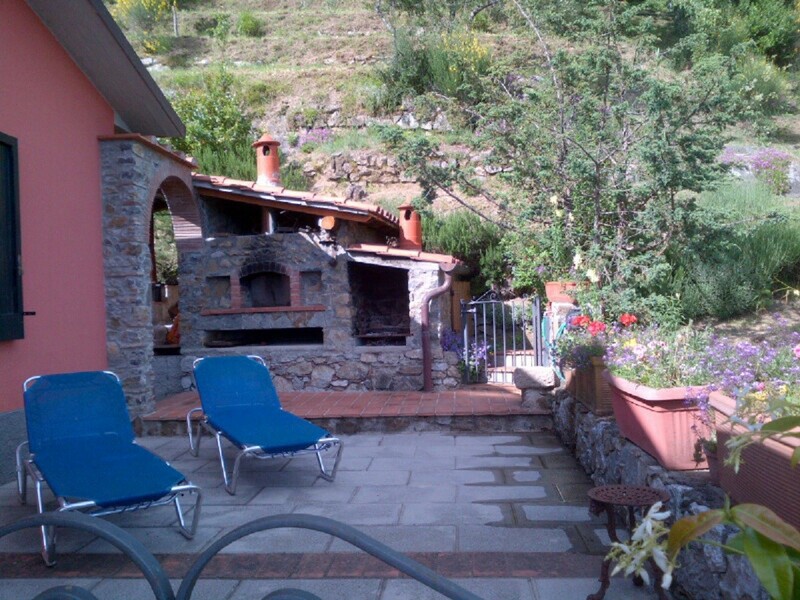 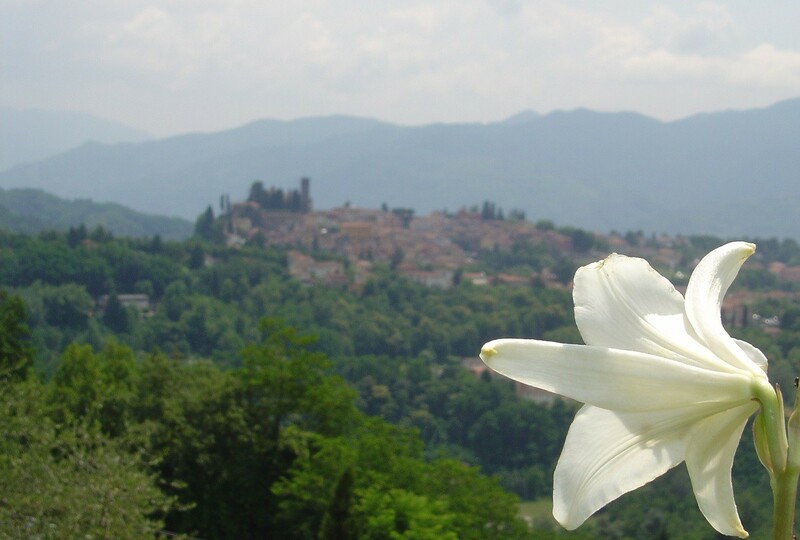 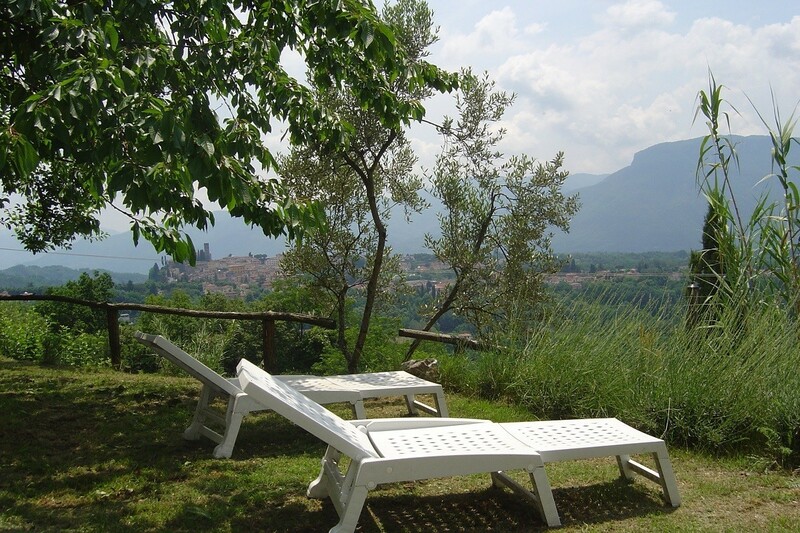 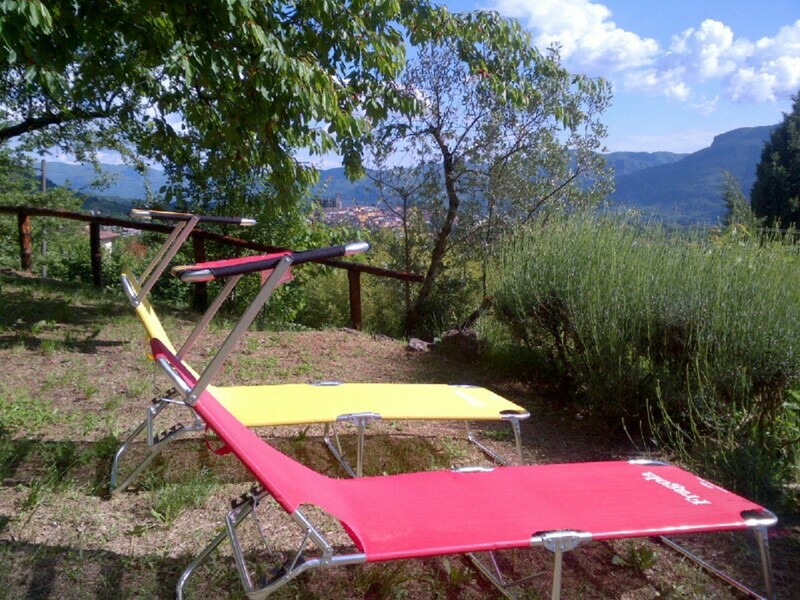 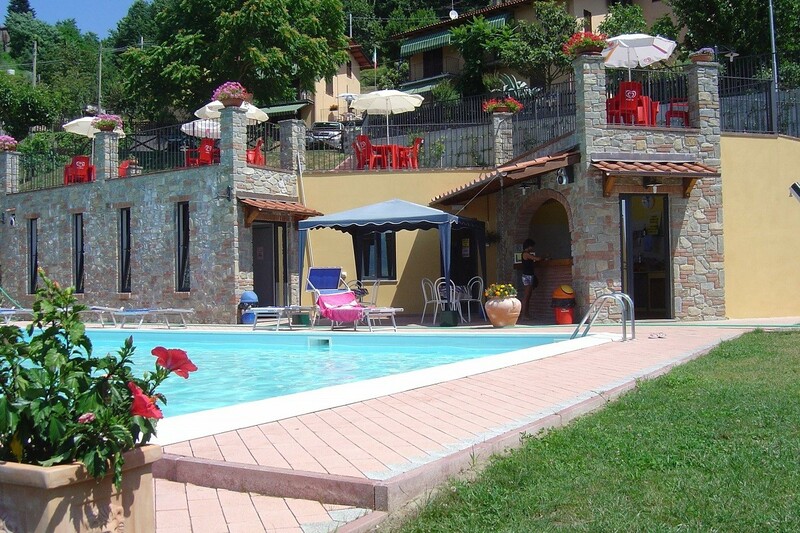 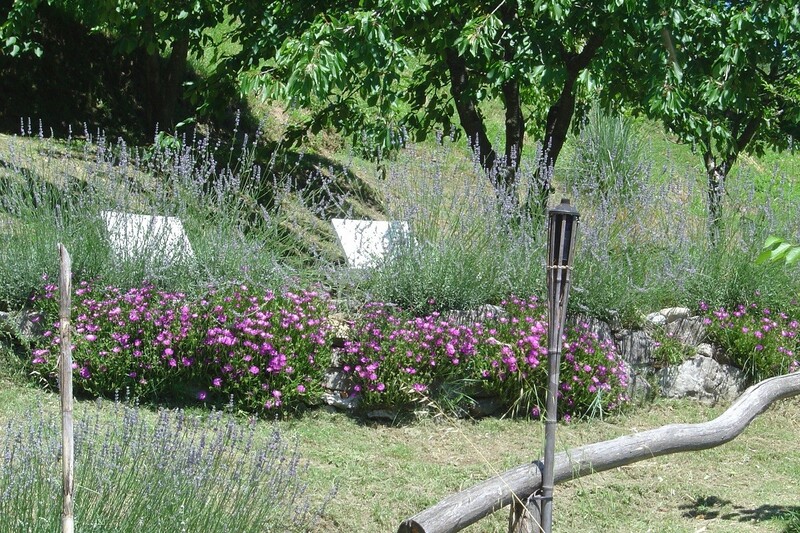 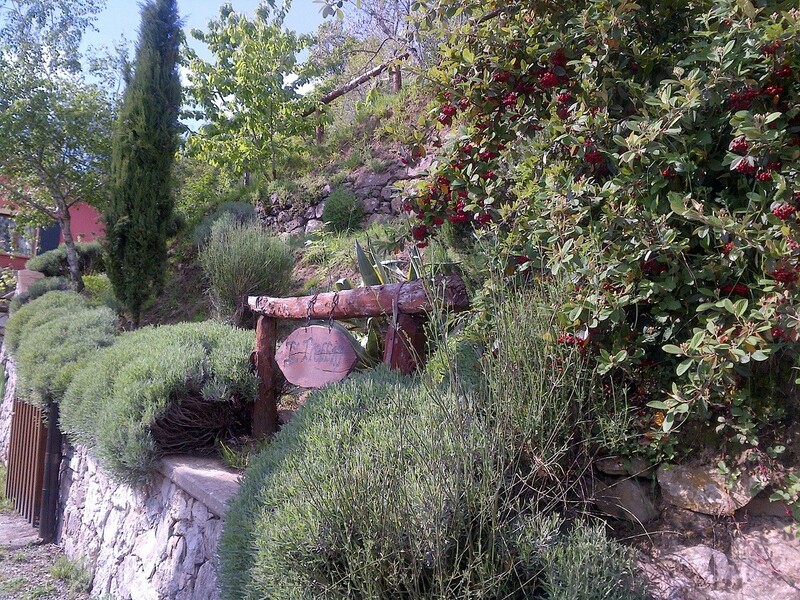 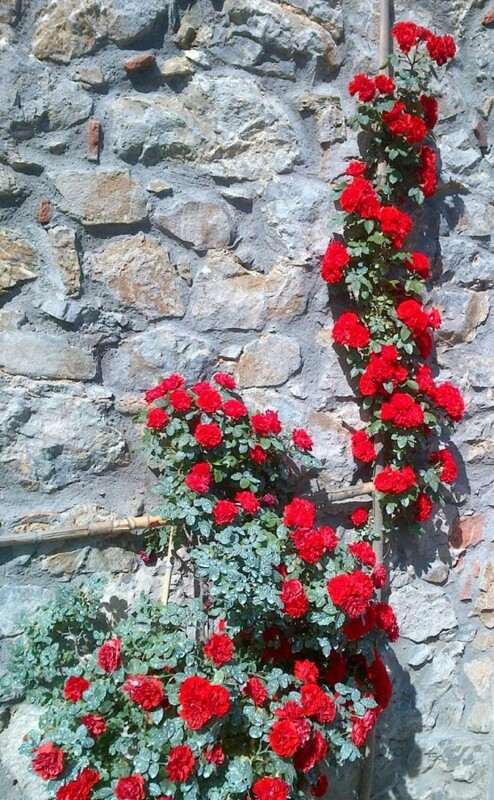 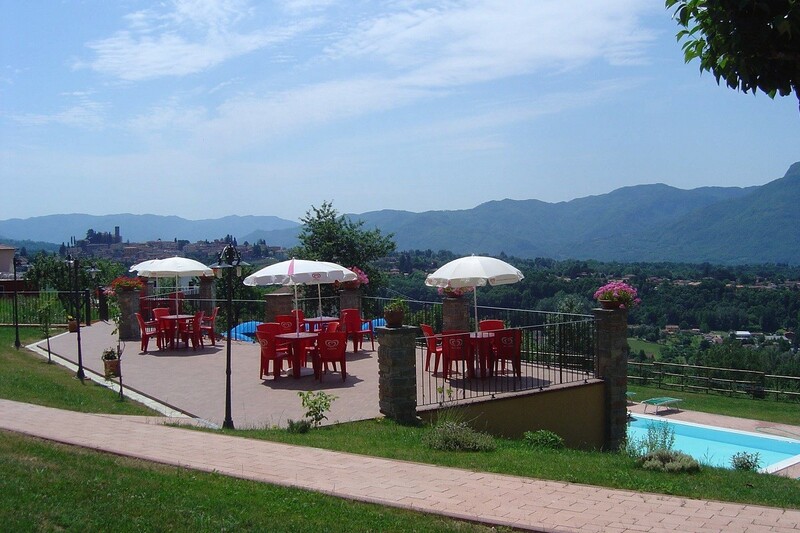 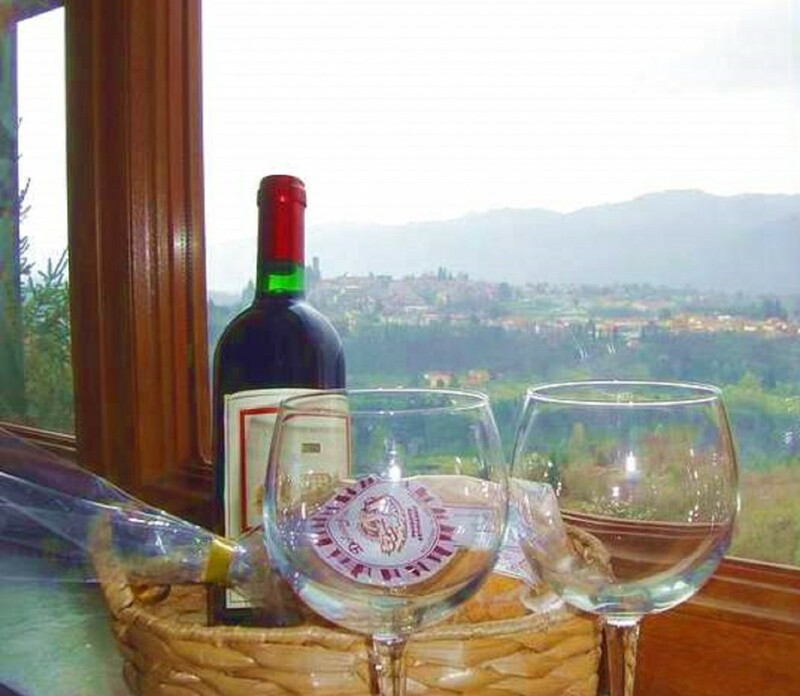 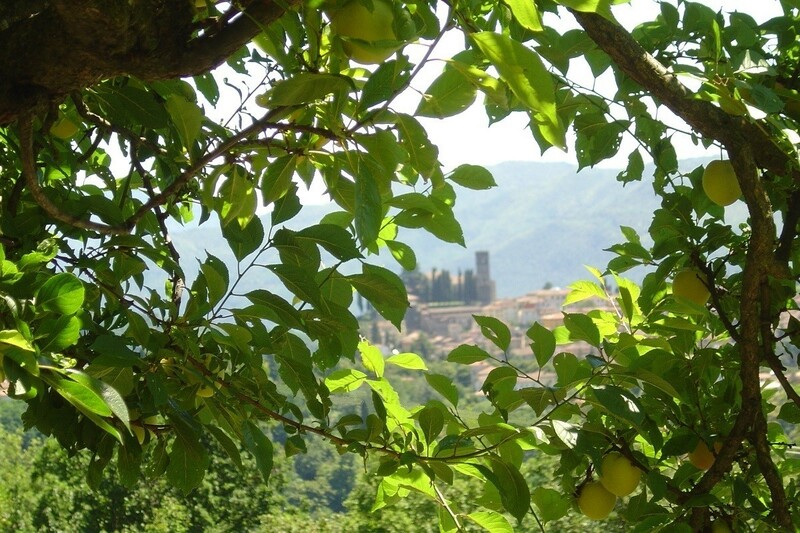 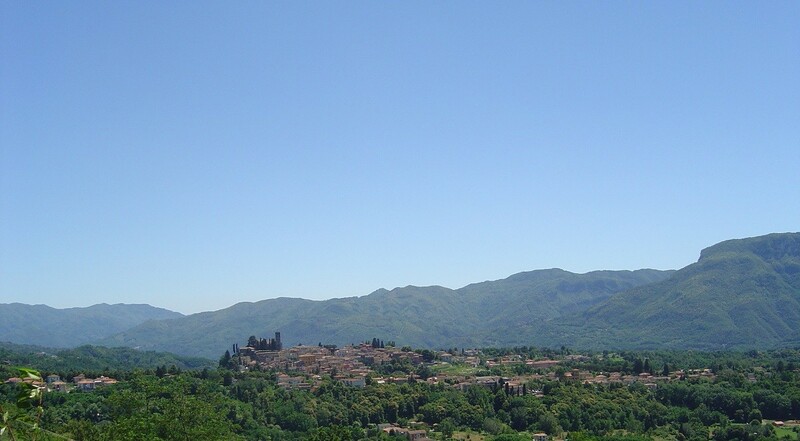 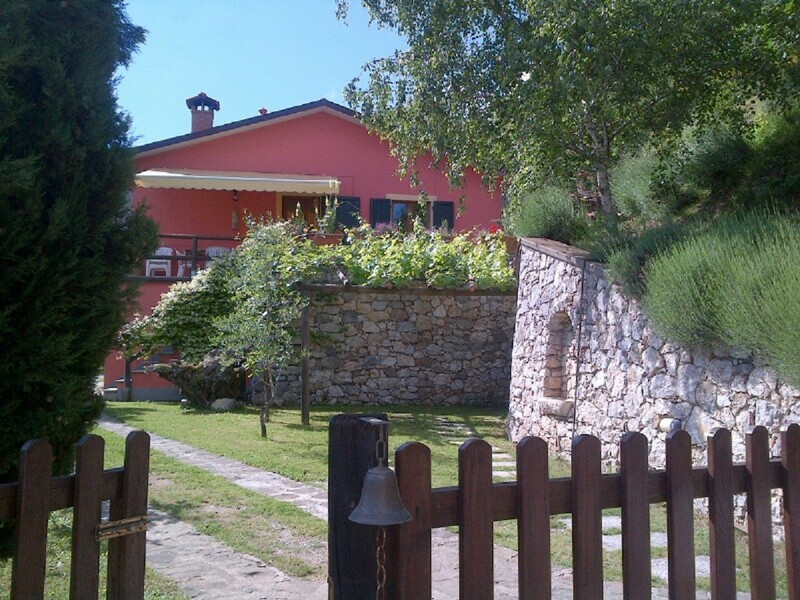 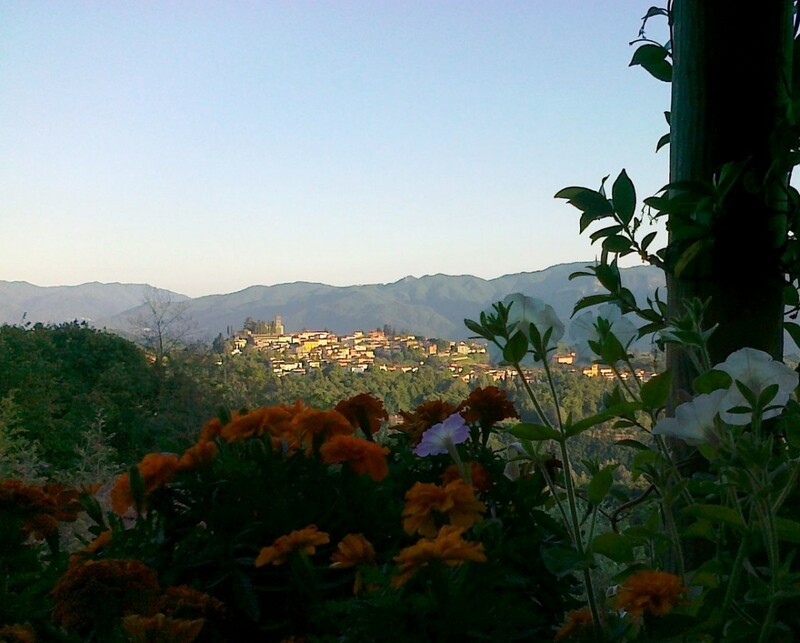 Il Trebbio is a delightful independent detached villa for rent in Tuscany. 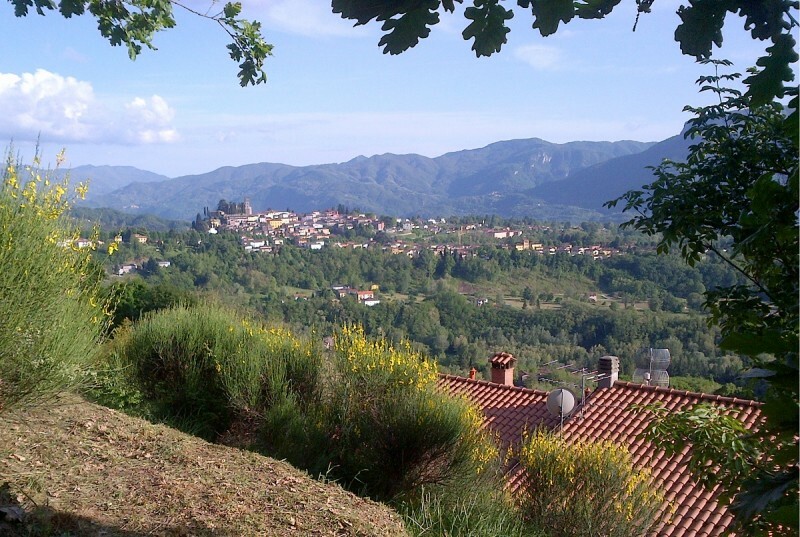 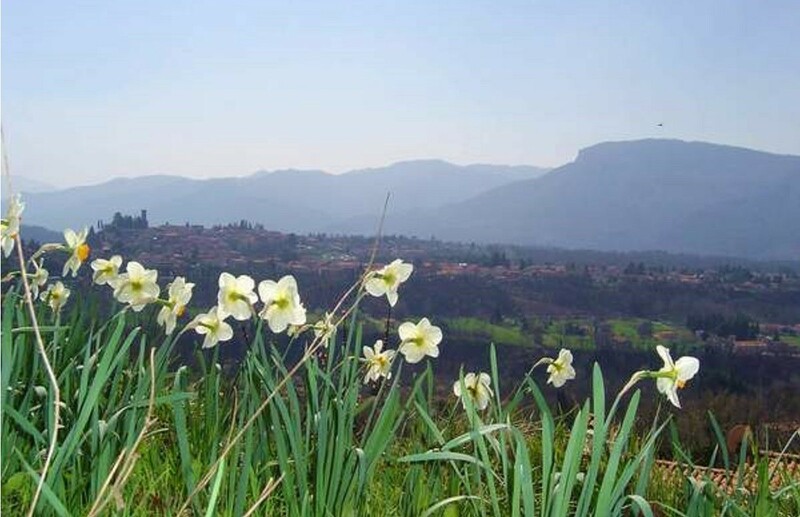 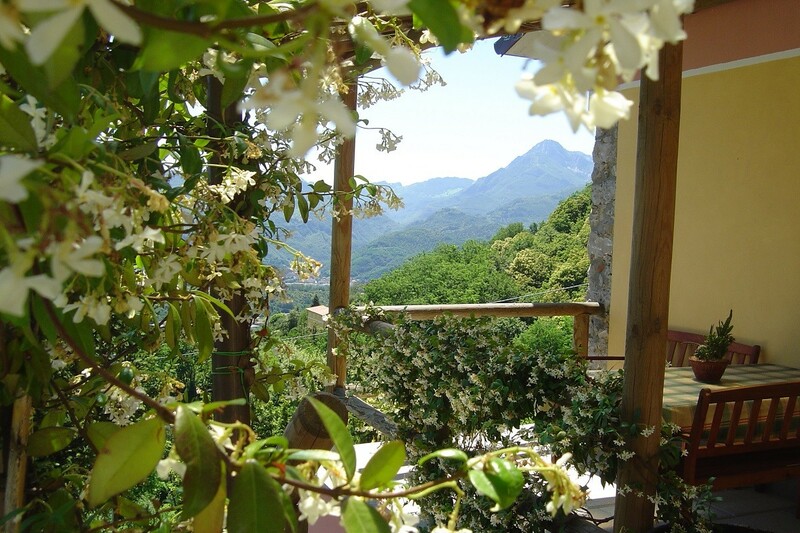 It's located in Albiano (Barga, Province of Lucca Tuscany) a warm and sunny hillside directly opposite the beautiful medieval town of Barga and the Apuane Alps (the home of Carrara marble). 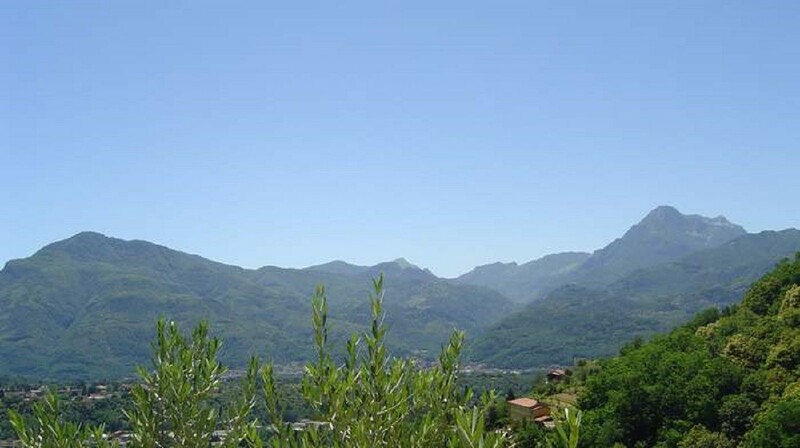 The place is well know as the most prestigious in Barga, thanks to the amazing view, the tranquillity and the southern disposition of the sunny hill of Albiano, all this without staying in a remote place (approximately 2 miles from the medieval historical centre of Barga, reachable by foot too by a beautiful just renewed ancient mule track). 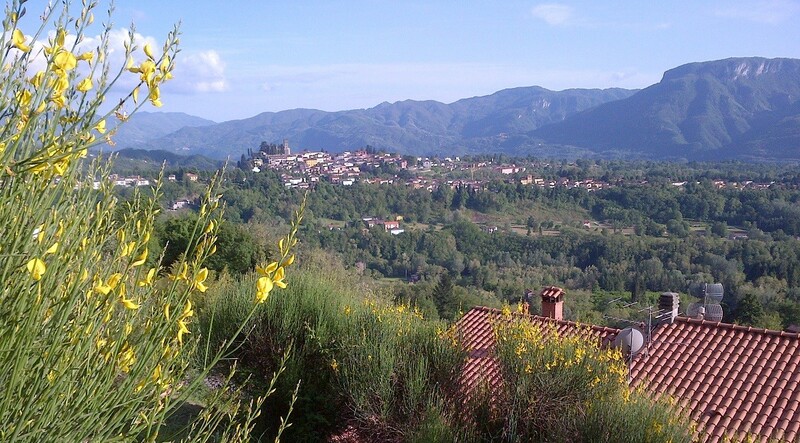 The hamlet of Albiano, less than 5 minutes' walk from the house, boasts a shop for everyday necessities, the typical Tuscan Restaurant /La Terrazza/,and a cafe'. 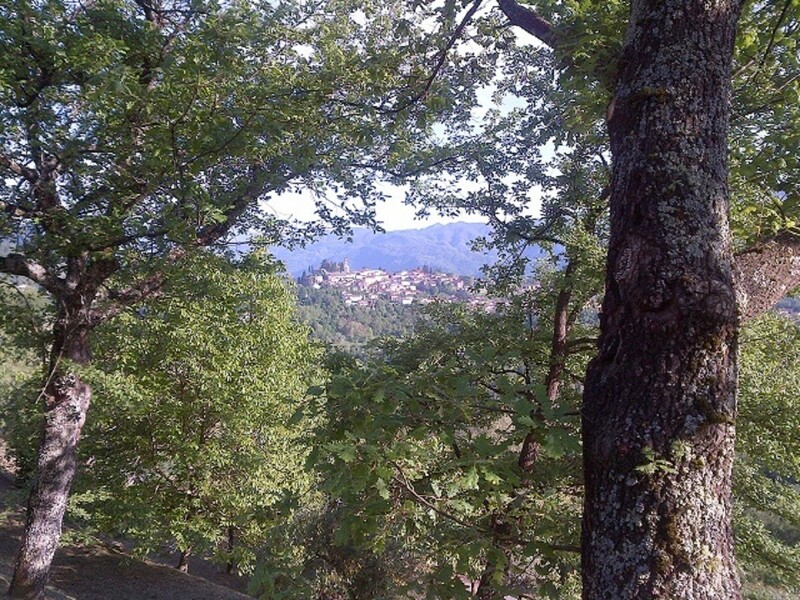 From every directions the views is really breath-taking! 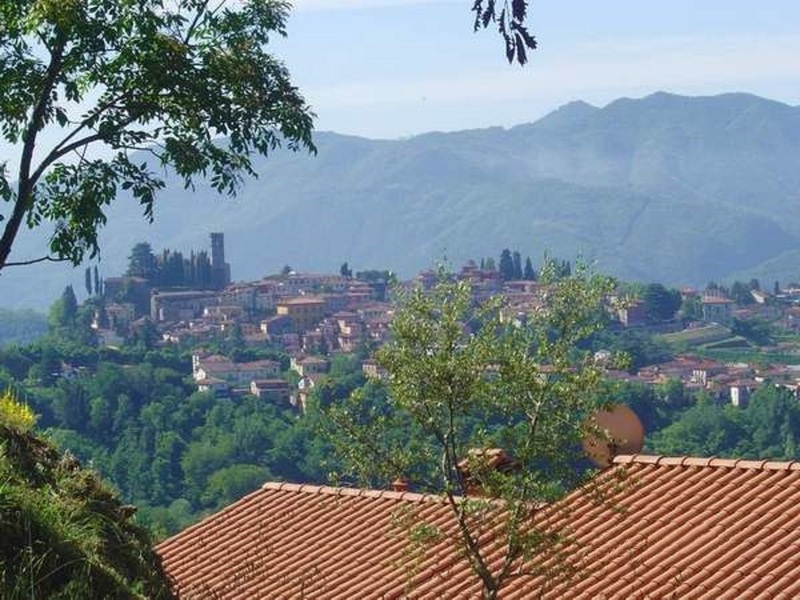 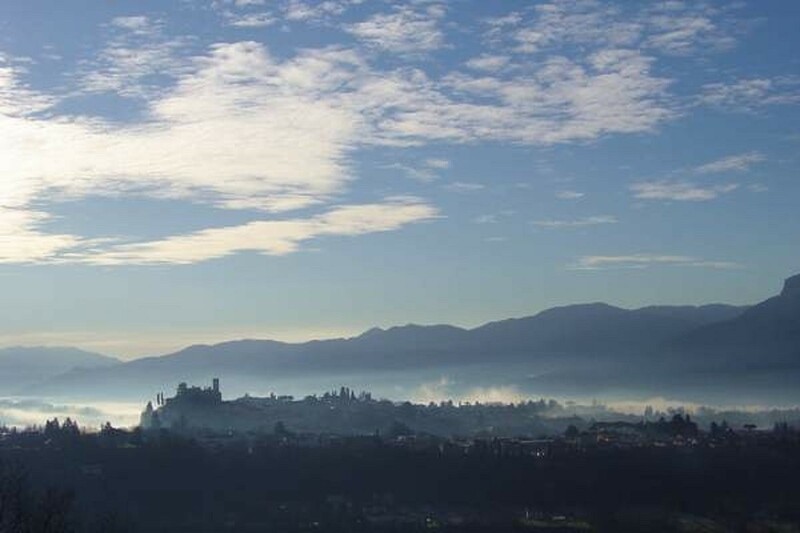 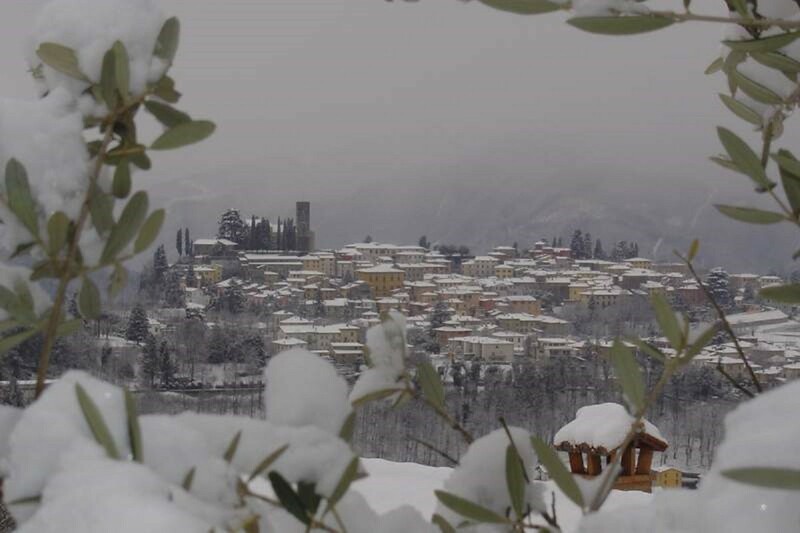 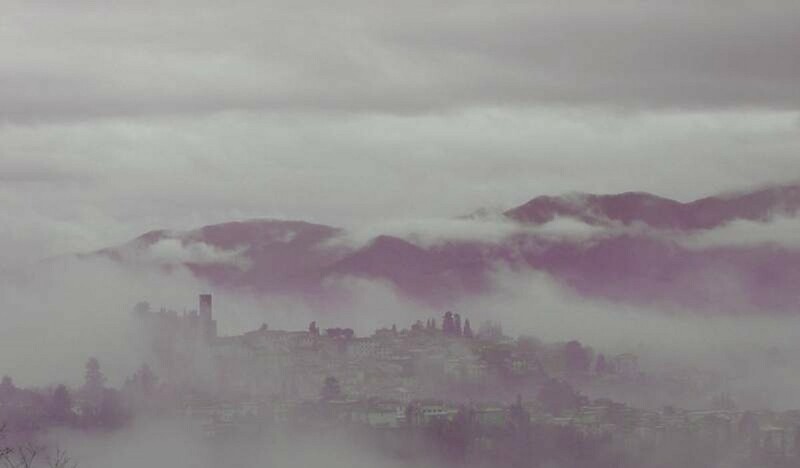 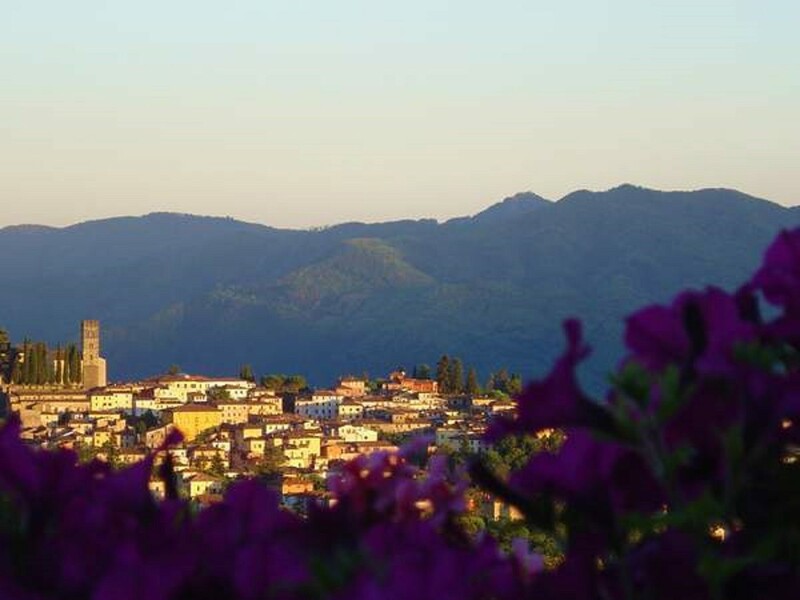 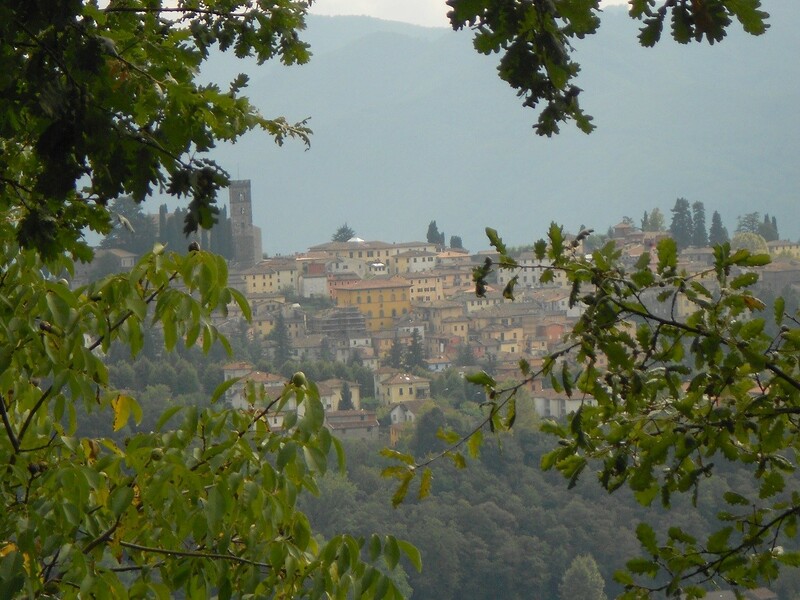 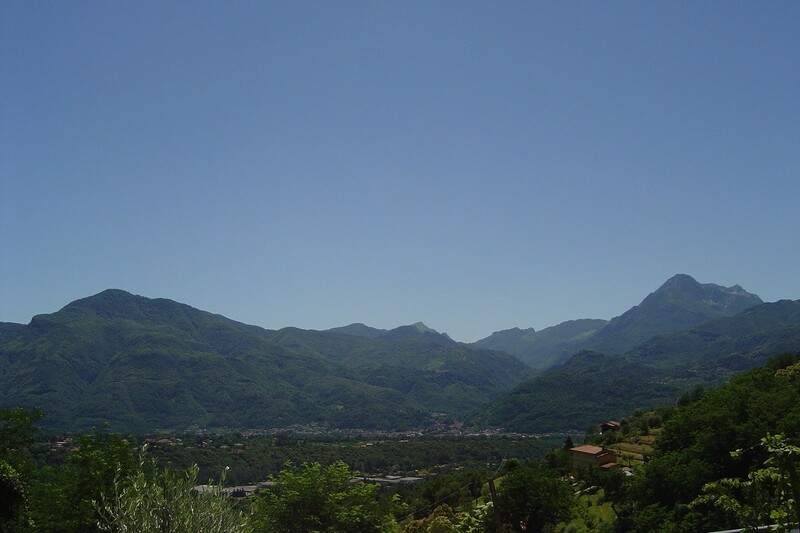 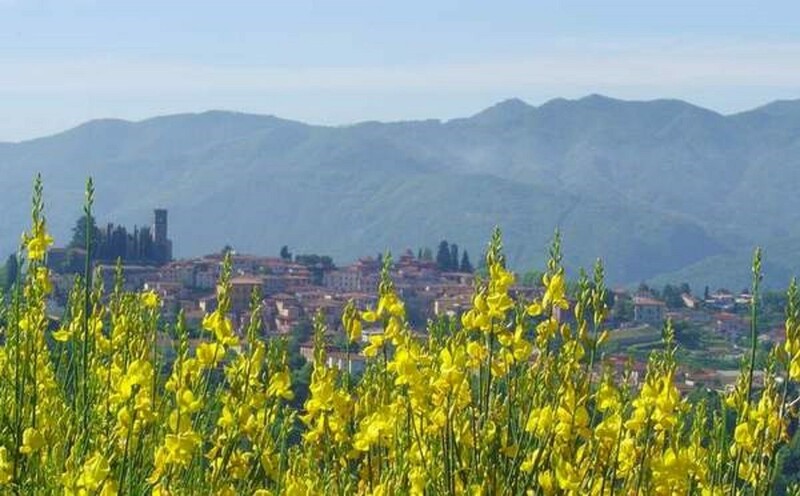 It's common to see close to our villas professional and amateur photographers taking panoramic pictures of Barga and of the whole Serchio valley. 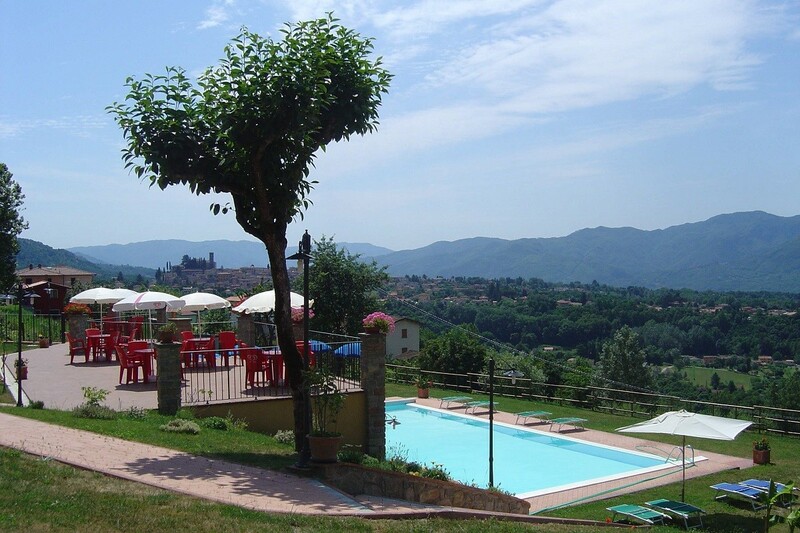 Il Trebbio is one of the oldest property in the area, it's an 18th century farmhouse completely restored maintaining in part the originality of its structure but at the same time providing the availability of all modern comforts.It has a size of approximately 110 square metres and internally has been painted with pastel /rustic colors. 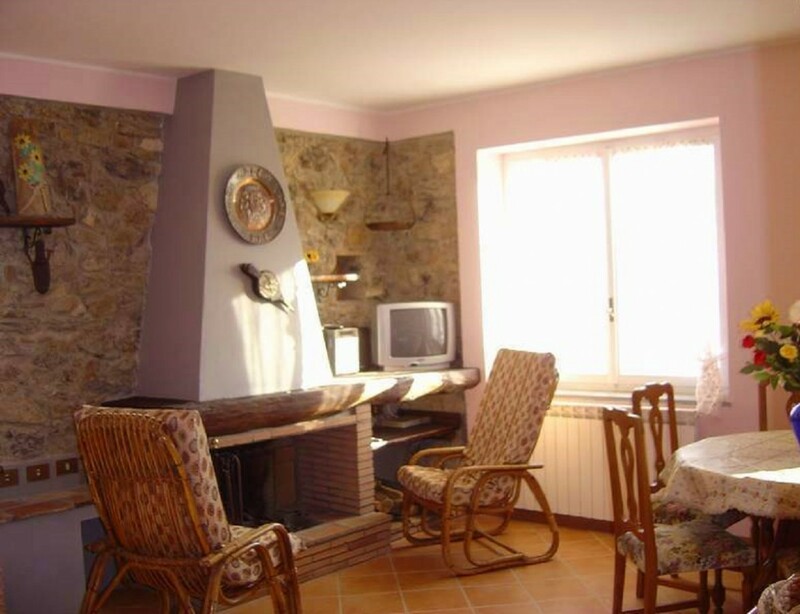 The house consists of a large living room with a beautiful rustic fireplace built with a very old oak beam and original Florentine Terracotta tiles (recently has been mounted a modern central heating integrated pellet stove too). 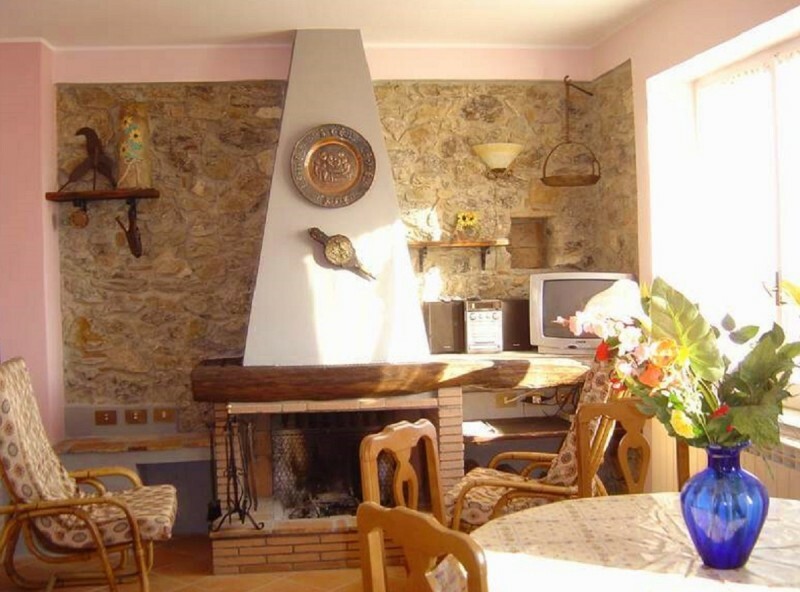 The kitchen,cooking utensilies provided and with a marble worktop, is in communication with this area. 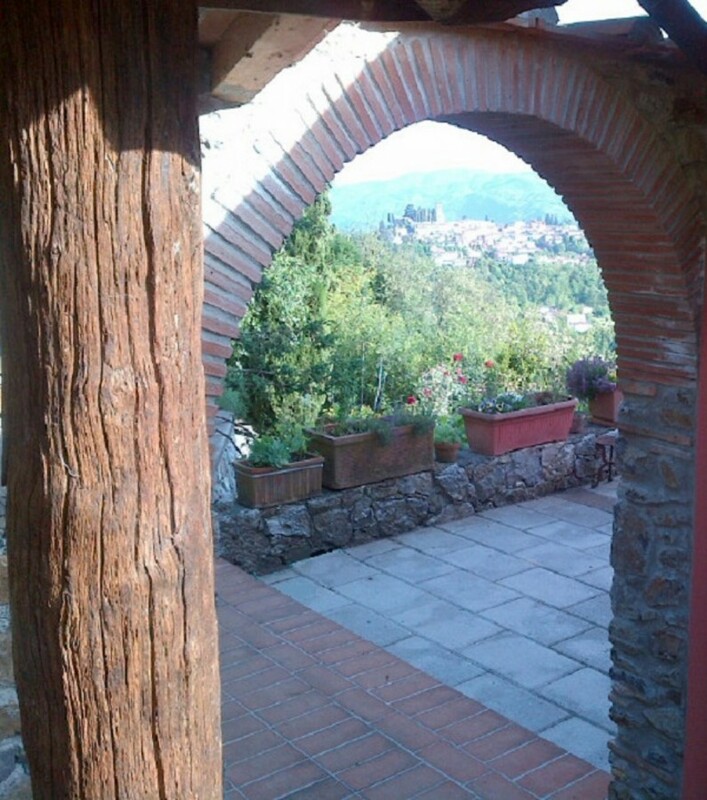 From a large vestibule there's the access to the three bedrooms and the main bathroom. 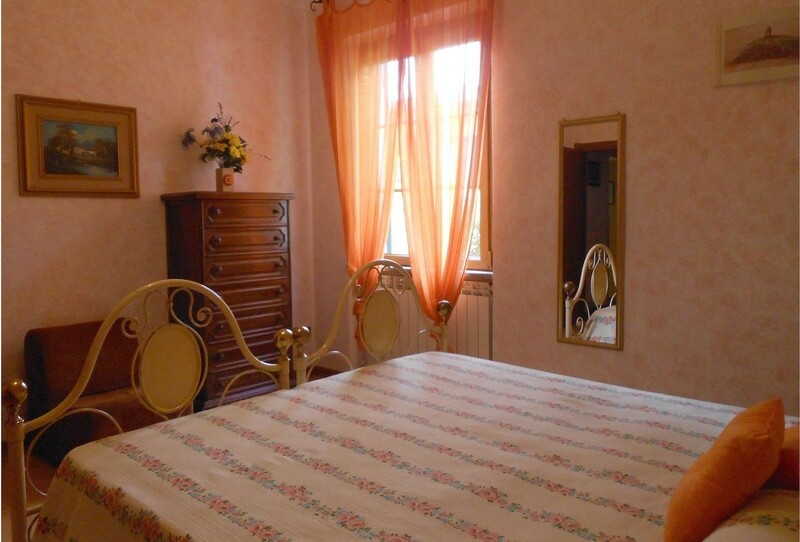 The first bedroom is very large, it includes a double bed and a bunkbed. 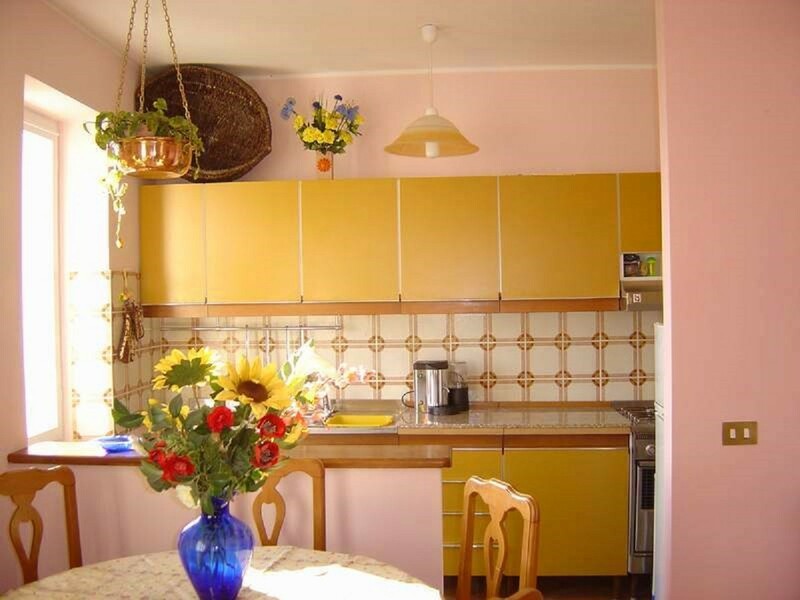 The lovely characteristic of this room is the way it was painted: by a particular sponge and a delicate rose colour. 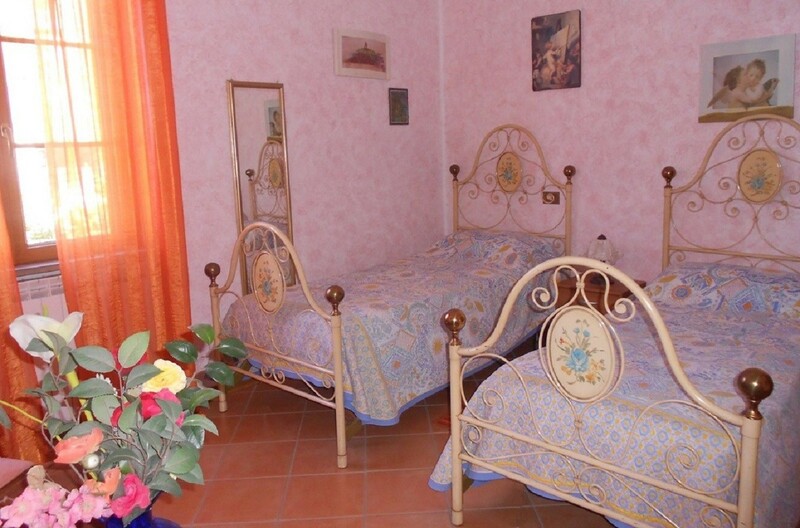 The other two good-sized bedrooms contain two single beds and another double bed. 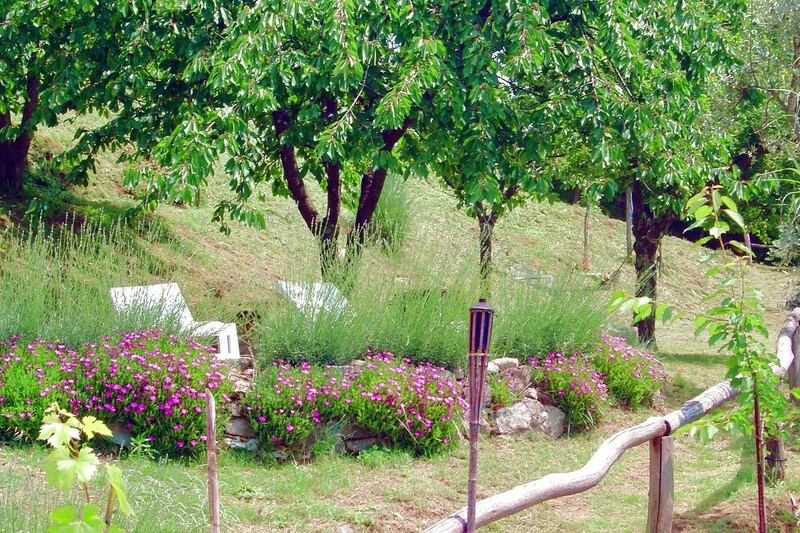 The main bathroom includes shower box, bath, washbasin, bidet. 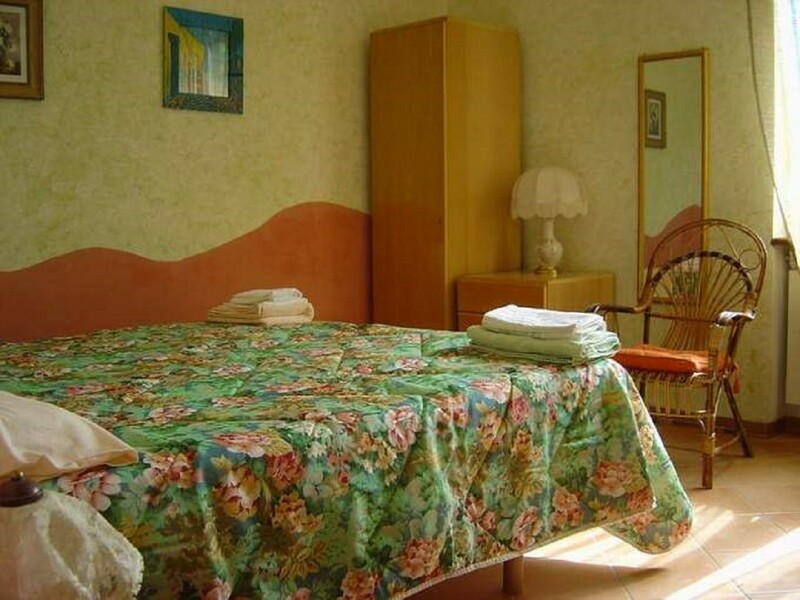 The second bathroom, at the ground floor, is provided of a washing machine, shower box, washbasin and a big sink. 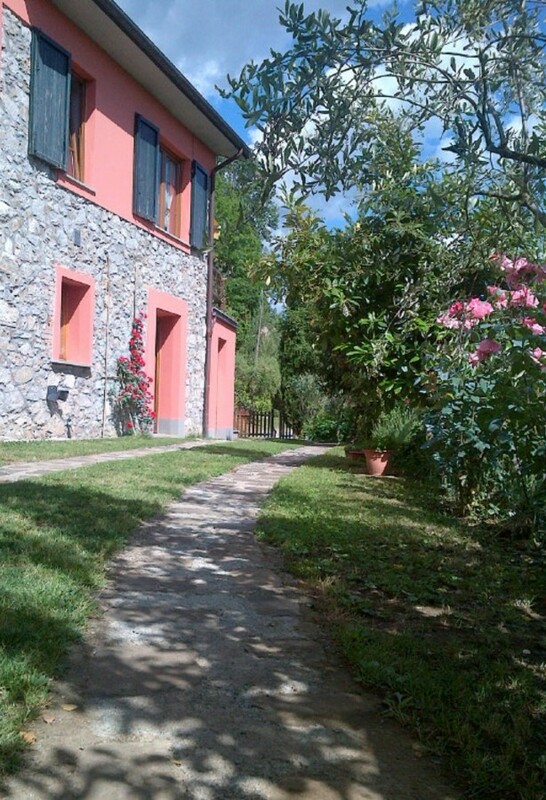 Our Villa is covered by an high speed WiFi Internet Connection. 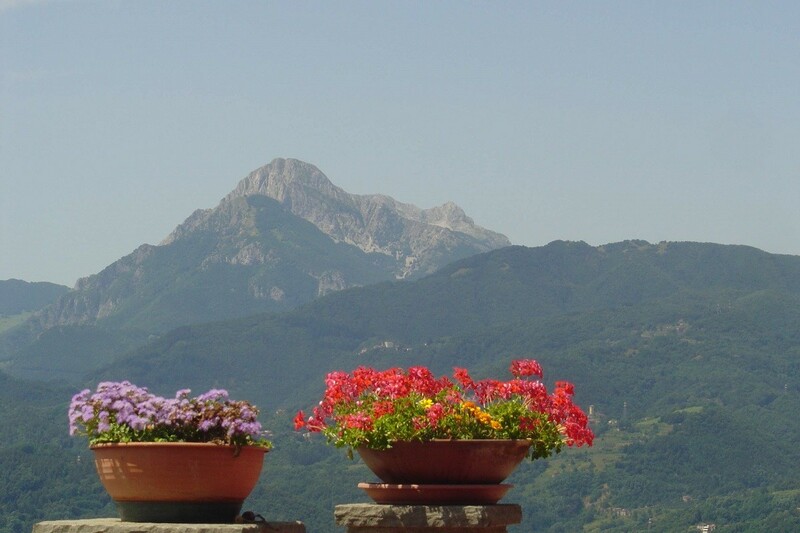 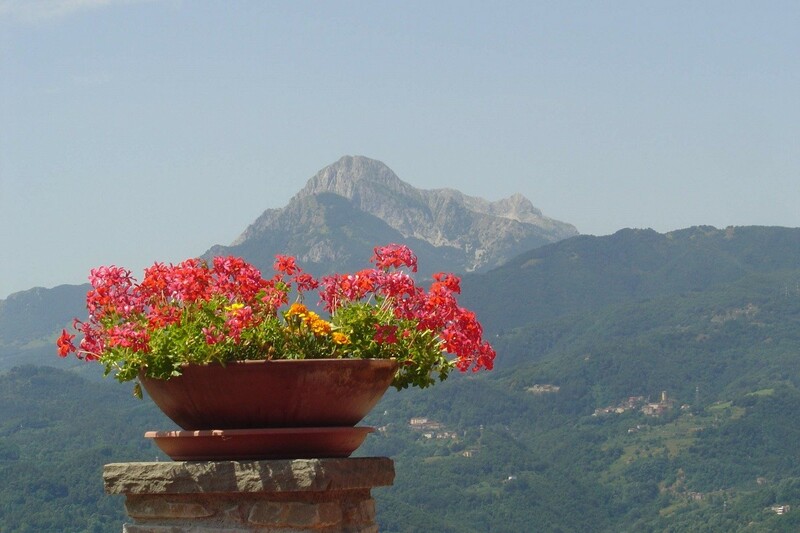 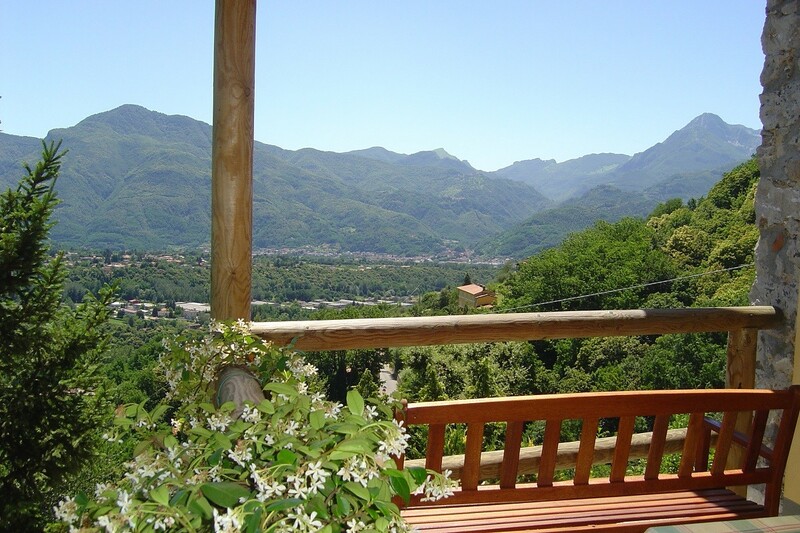 Outside the house, from the covered large private terrace an impressive idyllic holiday card of Barga, whole Serchio valley and Alpi Apuane mountain chain. 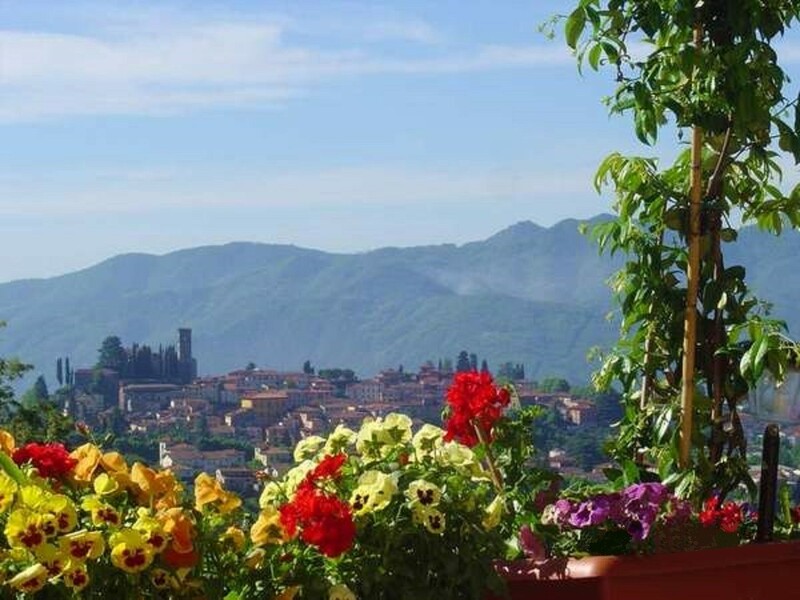 Eating al fresco is a real treat the lights of the town provide a romantic backdrop, and due to the altitude it feels possible to touch the stars! 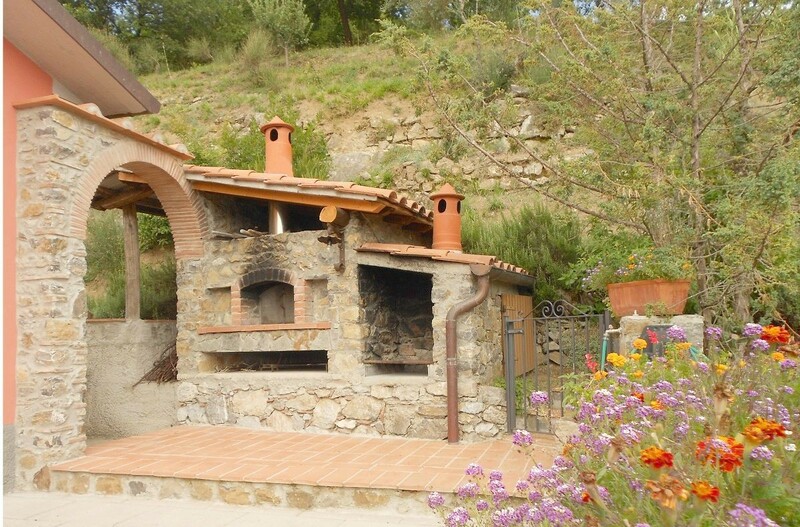 Next to the terrace a typical Tuscan stone made wood oven with a built in barbecue and a large panoramic garden..The shade of the plumtree, the two cherrytrees and of the walnut is idyllic (like their fruits!) 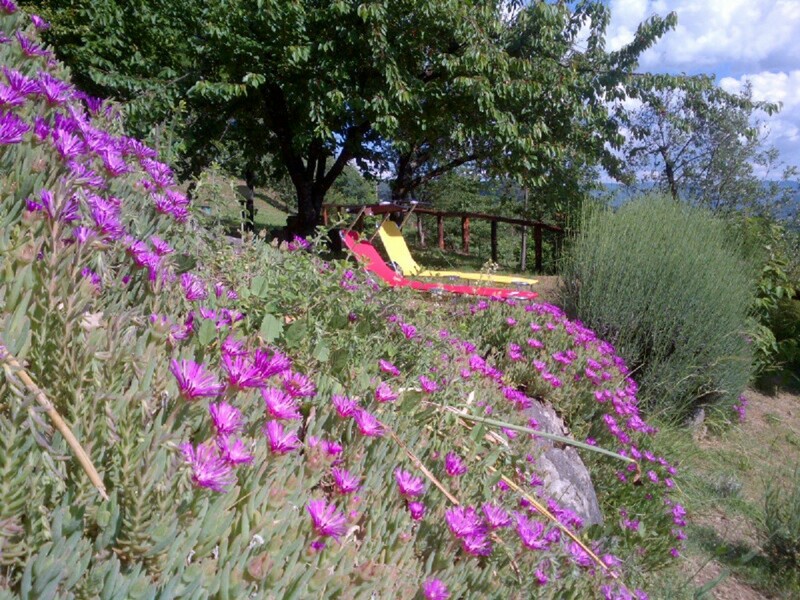 during the summer days. 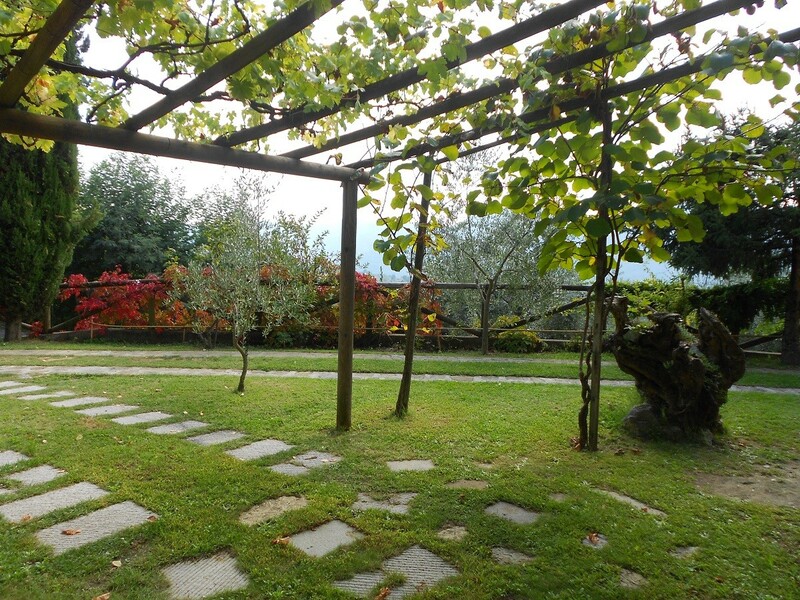 This is the higher garden, the other one is at the entrance of the villa. 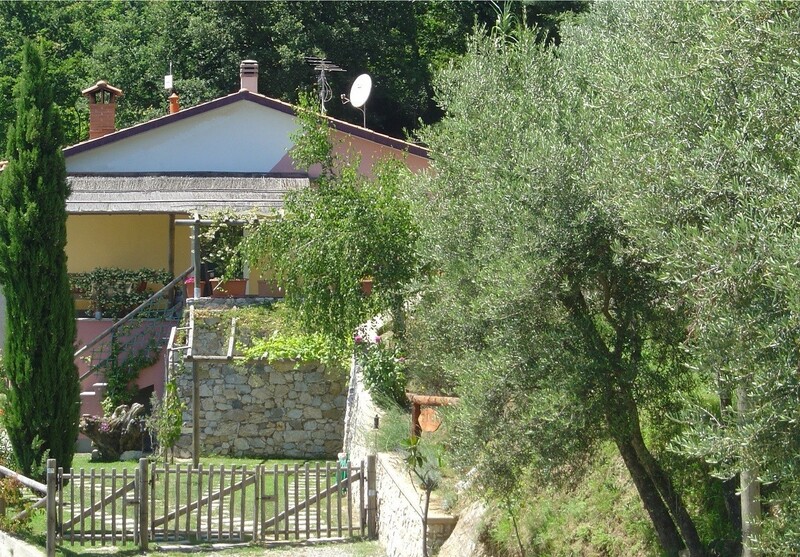 Here a wood made roofing, where there's the possibility to park one car (the space in front of the house is large enough for 4/5 cars!) 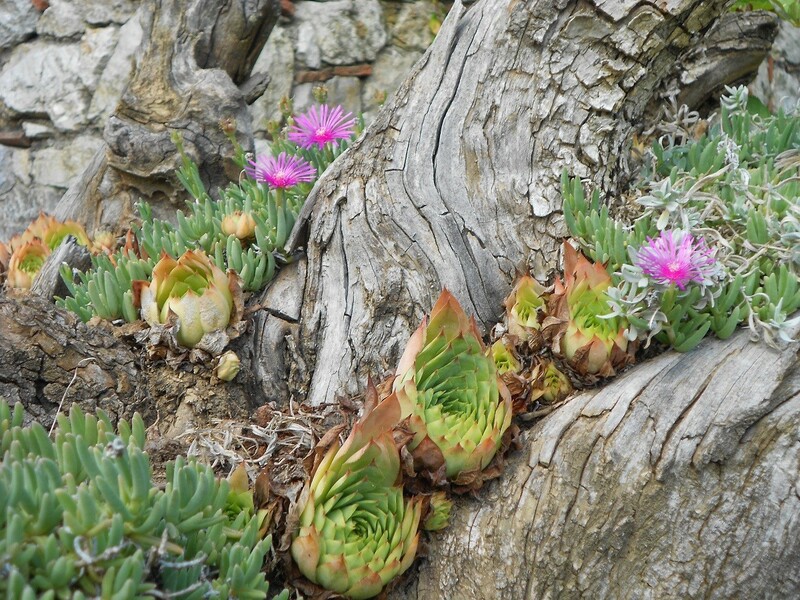 and a monumental age-old olive root that give hospitality to several species of ornamental flowers. 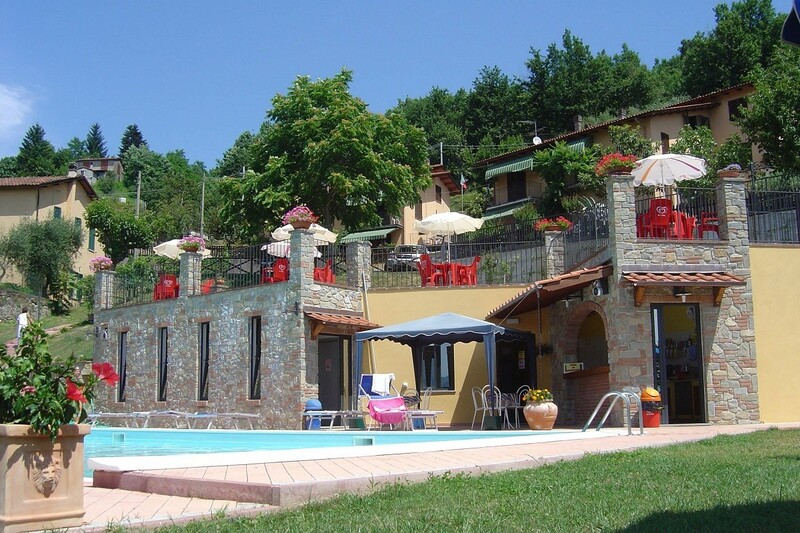 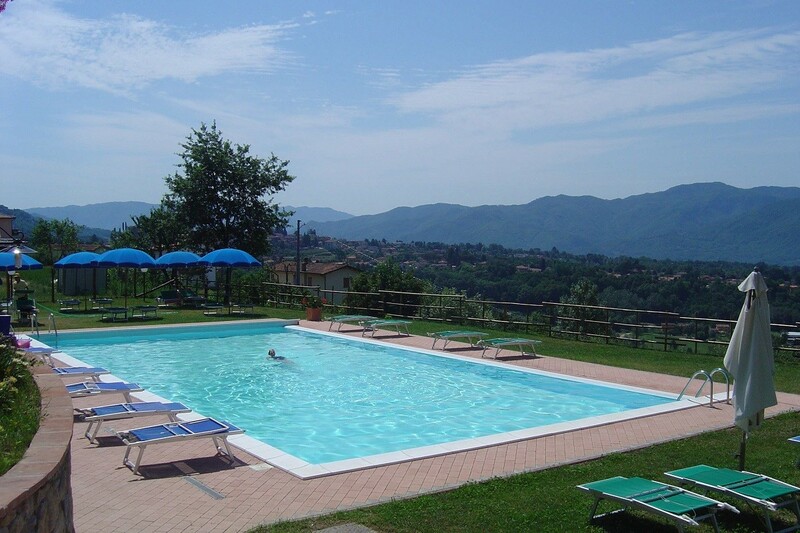 Since 2011 the Albiano holiday district has been provided of a beautiful panoramic swimming pool. 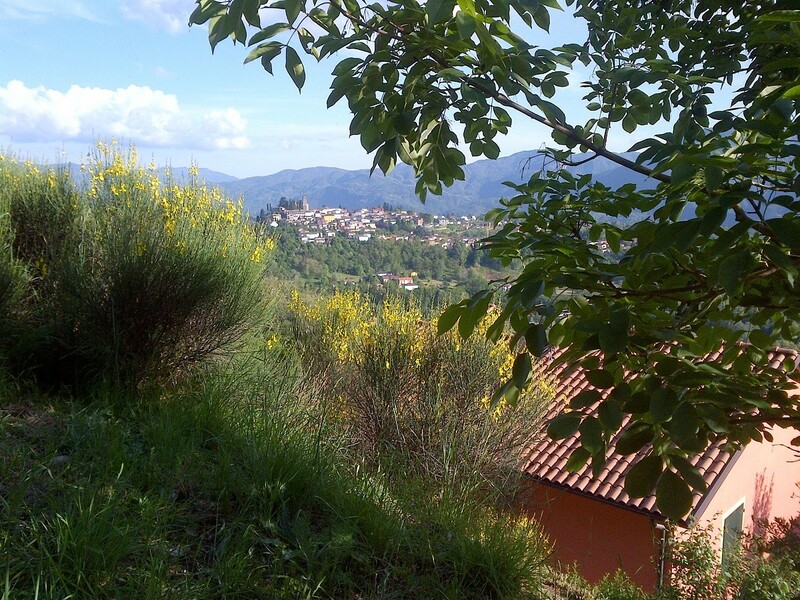 It's just 300 meters far from the house. 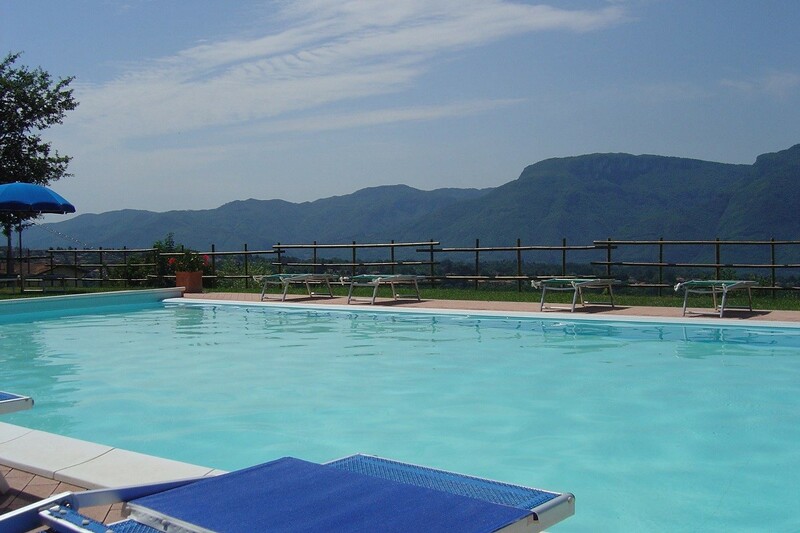 As guests of the villa our clients will have access to the pool with a special discounted rate. 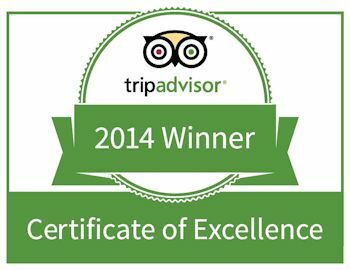 Design by WorkSmart Business Solutions, Inc.